I must say that I'm really enjoying the feminine trends these days. 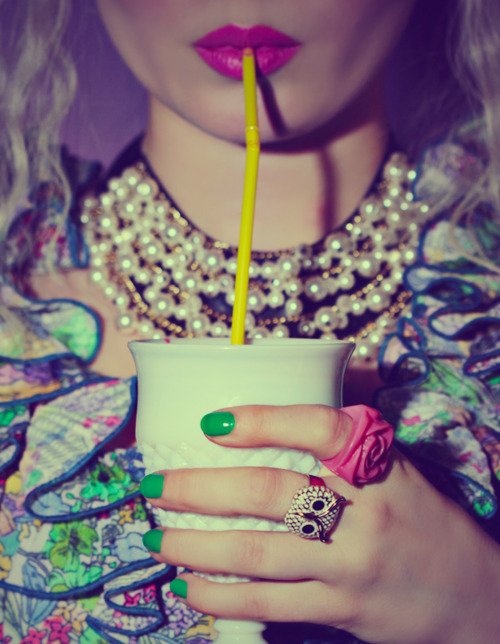 Nails neatly painted, cocktails rings galore and lots of skirts and dresses. After living in jeans for a good solid five years, it's refreshing to see women dressing up again. Perhaps it's thanks to the Mad Men influence? In any case, I love it! I am completely on board with this trend, always have been! You hit the nail on the head with this post! Love it! Thrilled! Je suis fascinée par toutes ces couleurs!